What the hell is a Downstait? Jim Johnston and CFO$ have written an innumerable number of unforgettable tracks for various WWE superstars over the years. Themes such as Stone Cold Steve Austin's and The Undertaker's have helped to confer immortality upon Johnston, while CFO$ have contributed masterpieces such as Shinsuke Nakamura's theme and Bobby Roode's theme. But sometimes, a superstar is too big for WWE composers. As such, WWE has to look to reputable outside sources, ranging from one-hit wonders to firmly-established artists. Of course, given the costly nature of rights, we don't often hear of any well-known artists making contributions to WWE's musical anthology anymore. 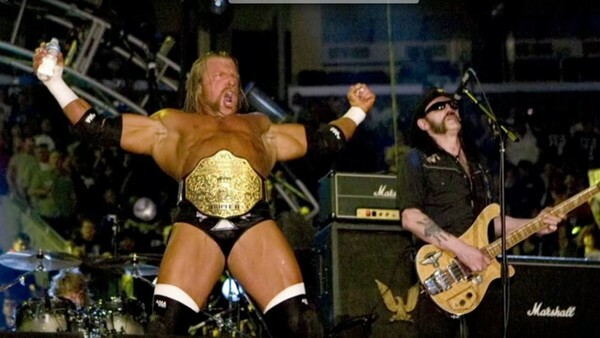 Still, there are several musicians who have made iconic additions to WWE's catalog over the years. Let's hear only a few. Born in 1992. Lifetime native of Massachusetts. Part-time columnist. Aspiring actor/singer. Drinks iced coffee all year round. Loves pro-wrestling.